Welcome to goldenpalace.be, your home for online casino, sports betting and live casino. 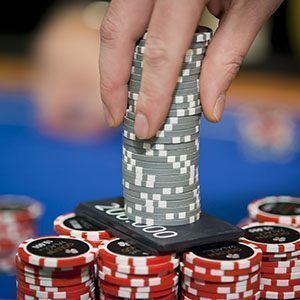 It doesn’t matter if you feel like playing online casino games, want to play online poker (in our online casino or against human opponents) or if you would like to do some (sports) betting: goldenpalace.be is the right place for you. When you register with us, you will automatically receive a €5 welcome bonus to try out our games for free, so why wait? Player protection is a very important topic for us. It didn’t really come as a surprise when it was announced that goldenpalace.be would become the first site to be granted an official licence B+ by the Belgian Gaming Commission. In September 2012, we became the proud owner of a licence F1+ for online sports betting, and in November 2017, we acquired a licence A+, which enabled us to bring our gaming offer to ever greater heights! We offer over 500 different online casino games in all popular categories. 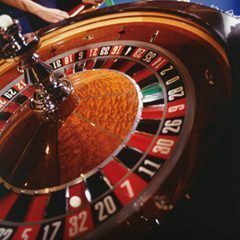 Estimate where the ball will land in roulette, try to beat the dealer while playing blackjack (twenty-one) or play one of our many popular casino games. We have slot games and strategic dice games from all popular providers (NetEnt, Pariplay, QuickSpin, Fazi, Endorphina,...)! With an offer like that, there is always something for everybody at goldenpalace.be. At goldenpalace.be, players of all levels are welcome to bet on the things which interest them the most. We have just about all the football competitions and important games in your favourite sport, but also social betting opportunities, such as bets on popular TV shows or on the results of important elections. We were also the first legal Belgian site which allowed players to bet on the identity of the new pope! We like to help our players make the right bets: our Program of the Week will provide you with all the necessary statistical material you need to make a well informed decision. 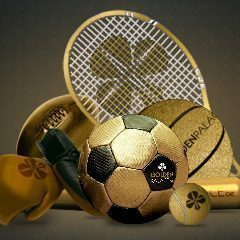 At goldenpalace.be, you can play live with thousands of opponents: we have a Belgian licence, but an international player pool. This ensures there will always be live tables available for you, whenever you want to play. Enjoy the best selection of live casino games - blackjack, roulette, casino poker and baccarat - from the comfort of your own home. Our dealers are waiting for you 24/7! Come discover our big selection of live casino games now, and feel all the thrills of a real casino right at your fingertips. Our activities aren’t just limited to the online domain. 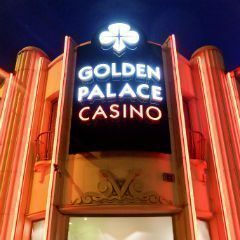 With over 50 years of experience and 28 Gaming Halls spread over Wallonia, Flanders and Brussels, Golden Palace is the market leader in Belgium. With plenty of events all through the year to entertain our players, our gaming halls will spare no effort to make sure that your visit will be a fun and unforgettable experience. The customer is king at Golden Palace Casinos! Players making their first deposit are entitled to a huge 200% up to €500 first deposit bonus. That means we will give you double the amount of your first deposit as a clearable bonus. The only thing you have to do to clear this bonus, is play! Both our online poker offer and all of our online casino games grant Golden Palace Points you can use to clear your bonus. We also have frequent reload bonuses, promotions such as free spins, freerolls, big tournaments, holiday promotions, special betting opportunities and much, much more. We’re sure you feel right at home! So what are you waiting for? Join goldenpalace.be today!